For years, rope access technicians and emergency rope rescuers have asked for a training program on temporary rigging employing elevated rope tracking elements. The OFFSET/HIGHLINE RESCUE WORKSHOP is just the type of program where these elevated options can be explored in the Granite Dells of Prescott, Arizona. The course begins with simple and easy to understand lessons on physics relative to ropes under tension used above the ground. The program moves between the subtle, yet substantial, differences between minor and major offsets and then moves into the distinctions between offsets and highlines. For rope access technicians, this course gives the student the groundwork for elevated transporting systems for men and/or materials used in work. Compounding forces on anchors and ensuring the means of not degrading the main tracking element are explored. The OHIW also has lectures on extensive pulley systems which are used to provide tension for these aerial rope highways. More than just a "highline" seminar, the OHRW provides a multiplicity of options for the rope rescue and rope access technician. Additionally, the program is taught in an environment conducive to this kind of discipline. This is NOT a rescue course only. 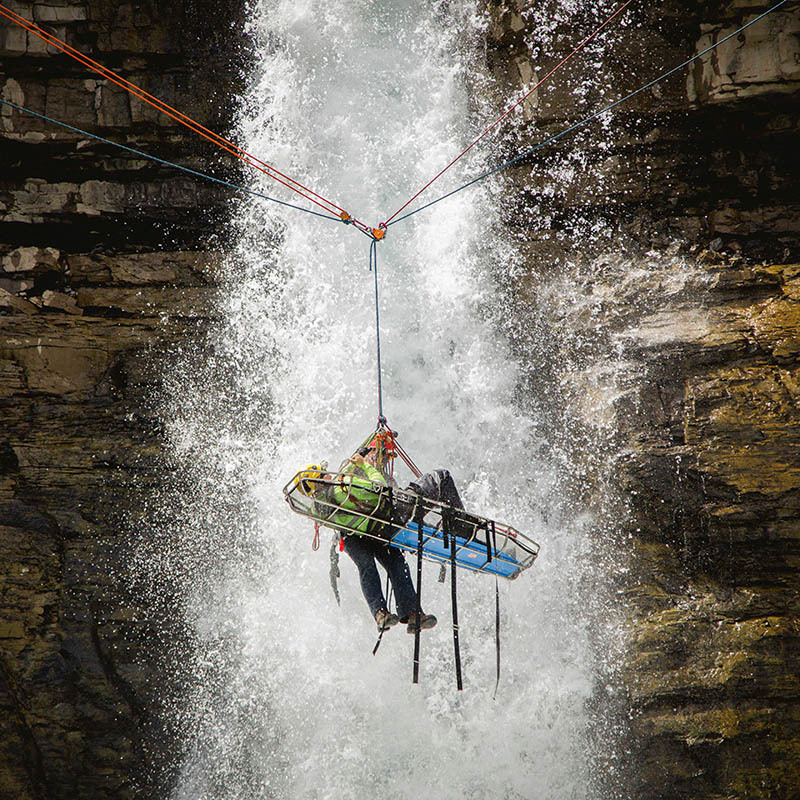 While the techniques can be applied to rescue work and often are, these methods may be used in any rope access endeavor. The real difference is that when human loads are applied, secondary safety lines must be employed at all times throughout the process of movement.